The Evo Collection is the perfect solution for functional and fashionable public areas ranging from conversation centers in lobbies to relaxing retreats by the pool. Designer Richard Holbrook created an elegant collection with subtly tapered legs and slight arch across the back of each piece. 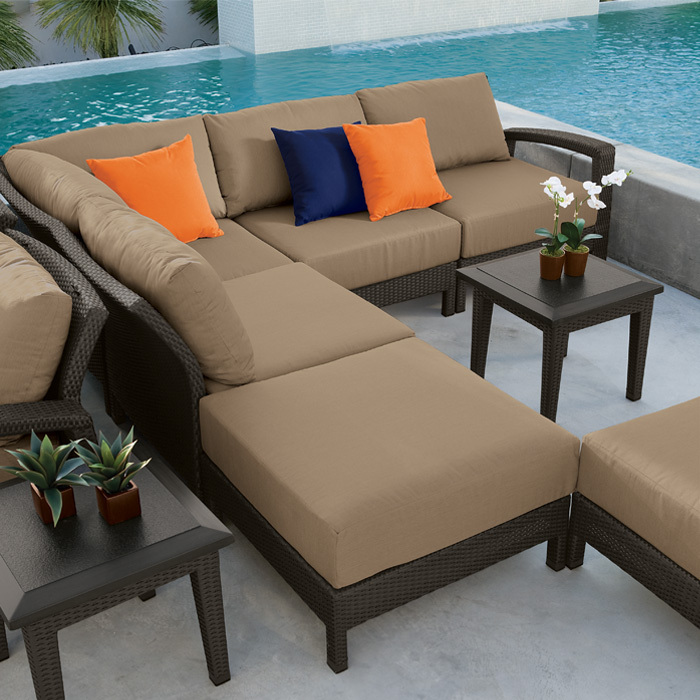 The Evo Collection features TropiKane® Basket or Vineyard Weaves and cushions equipped with Tropitone’s exclusive RELAXplus® technology to ensure durability. Evo is truly an evolution of style, design, and comfort.